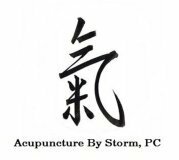 Acupuncture by Storm is a unique practice that can help treat a wide variety of conditions. From Pain to Sleep, Respiratory and Digestive issues. I can also help you lose weight and stop smoking? Curious? Call now for a free consultation! 631.750.6669 or email AcuByStorm@gmail.com. Appointments are made by an "On-Call" basis. If the times above do not suit your schedule, I am very flexible and will try my best to accommodate your needs. I accept some Major Medical and No-Fault insurance. If you are curious about acupuncture and you are not sure that your insurance covers this form of treatment, Call or email me and I'll find out for you.